The angora, because of it’s coat requires a little more thought as regards it’s housing. 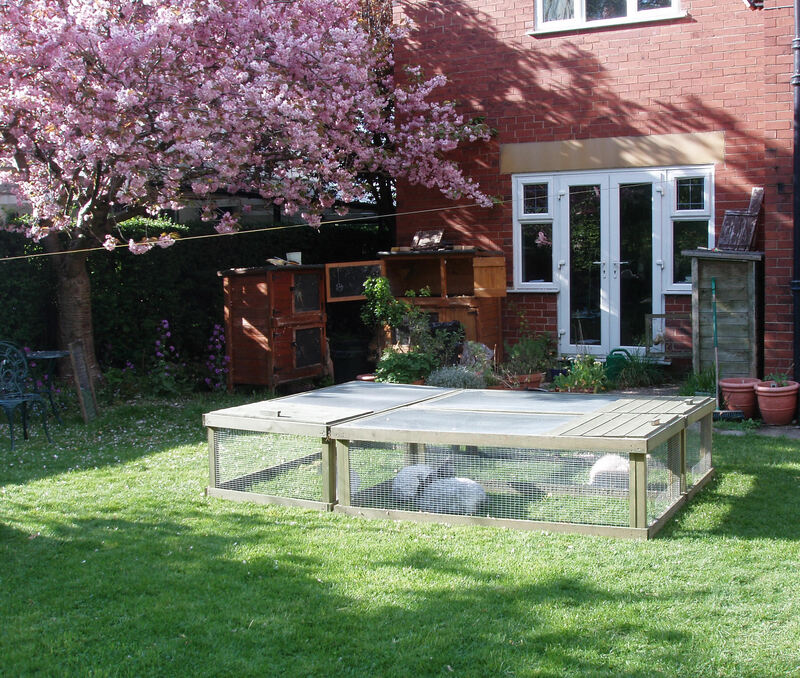 Hutches should be acquired or constructed before the rabbit arrives. It should have a well-constructed wooden hutch, ideally measuring 3’ x 2’ x 1.8’ and with no rough surfaces. 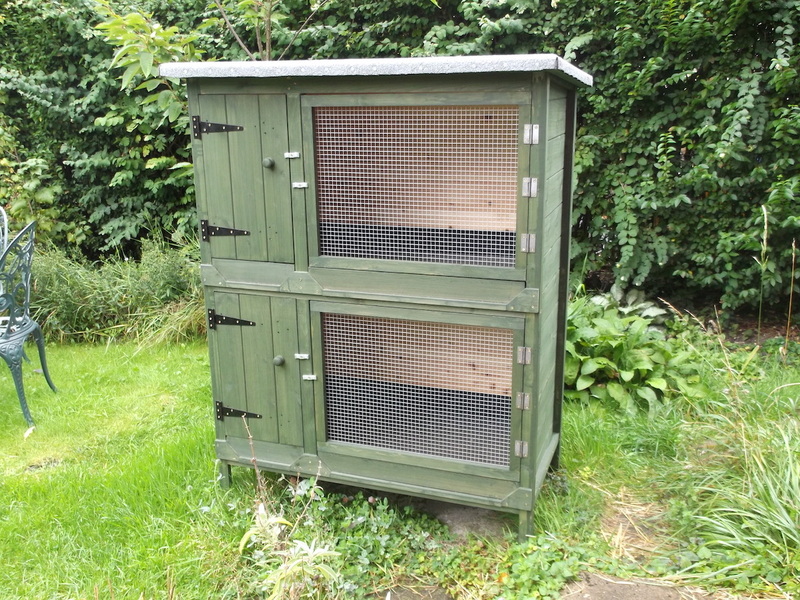 Hutches can be built singly and placed one on top of another or constructed as a block, either way the lowest hutch should be raised off the floor (12”) being ideal. 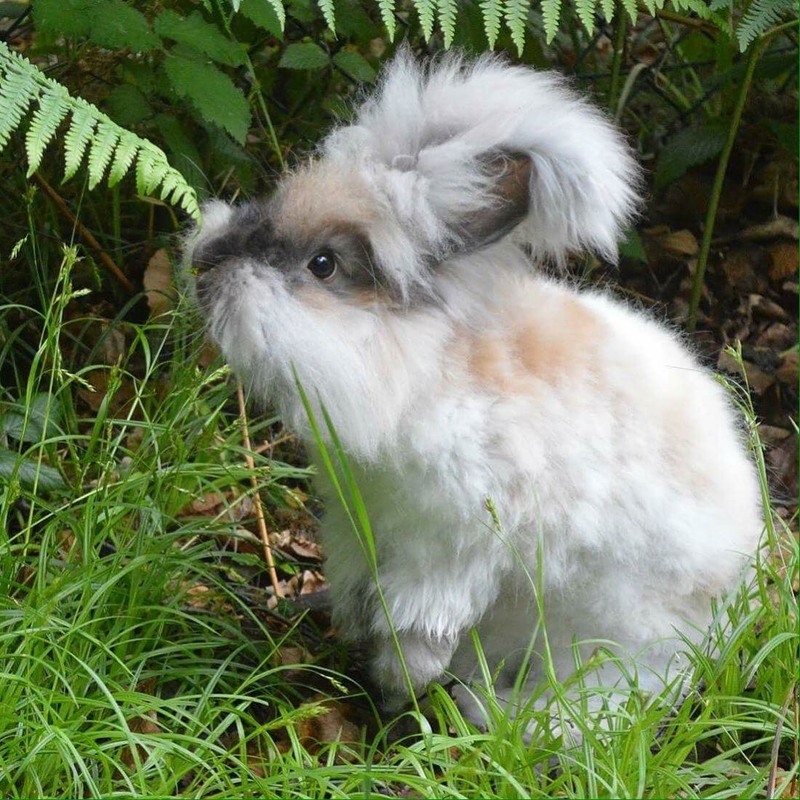 Angoras enjoy a run and a dig on the lawn in a secure run, and socialising with the rabbit in the adjacent run. Even if shelter is provided in the run against a sudden shower of rain, the rabbit will be unlikely to use it, and will be perfectly happy to get wet. 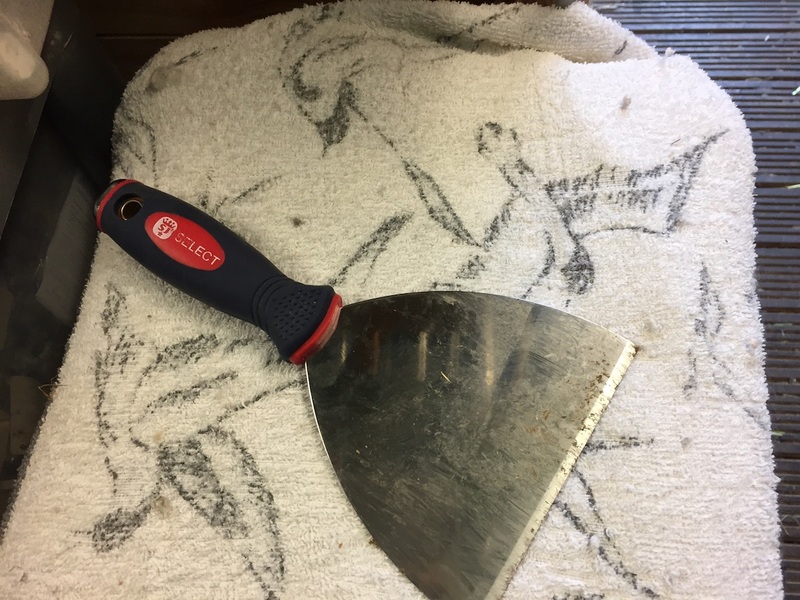 Angoras therefore should not be left in their run unsupervised. 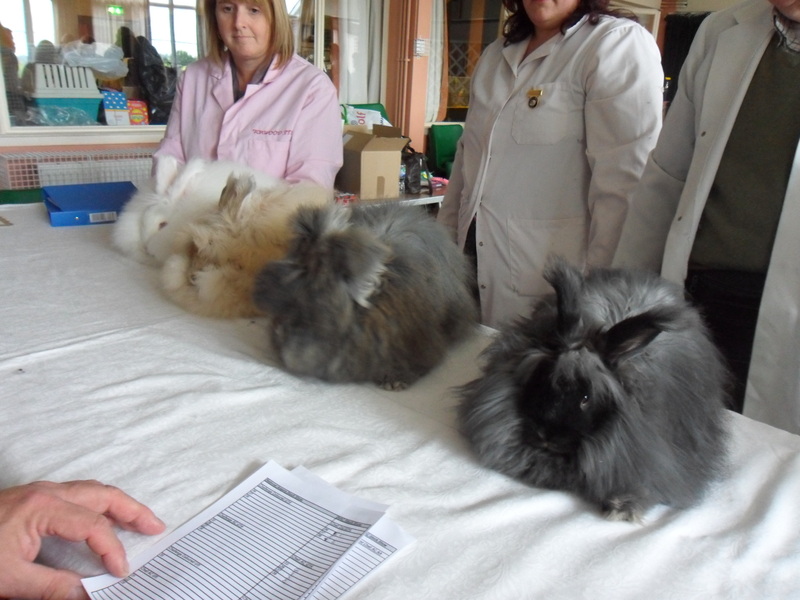 Warm wet Angora coats will felt! Breeding hutches should have a removable central division and be of at least 5’ x 2’ x 1/8’ in size so that the doe and young have plenty of room to move around and not damage their coats as they grow bigger. 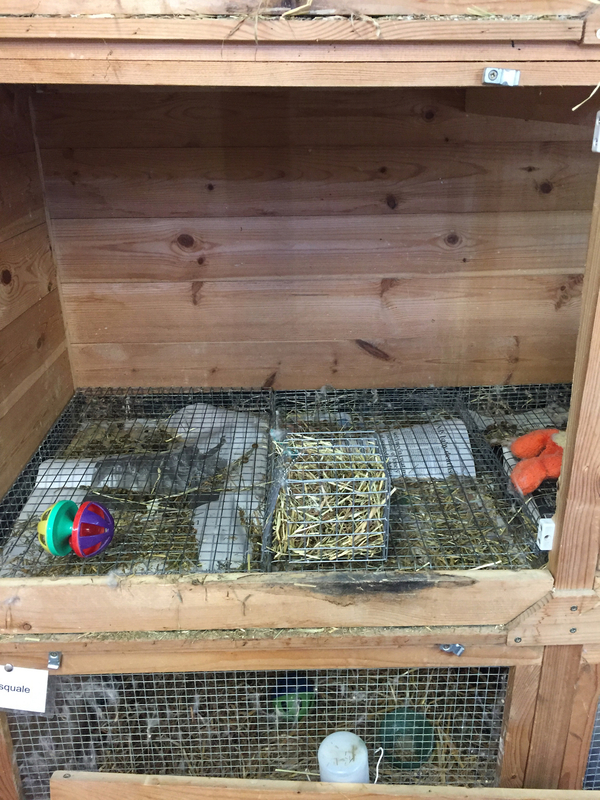 Do not waste time and money on breeding compartments, as they are not really necessary unless the rabbits are housed outside in a sheltered position. We keep our show rabbits on wire frames which fit into the cage. They are made of weldmesh 14 or 12 gauge ½” x ½” wire mesh. Exhibition rabbits are kept in hutches with wire floors during the 6 months or so of their lives when in they are in exhibition coat, but after this are housed like wool Angoras on shavings and barley straw. The thick woolly furnishings on the feet of the English Angora protect the feet from damage by a wire floor, and rest areas are provided. It is important to use wire of the correct thickness as wire that is too thin could cause injury. French Angoras do not have woolly feet and should not be housed on wire floors. 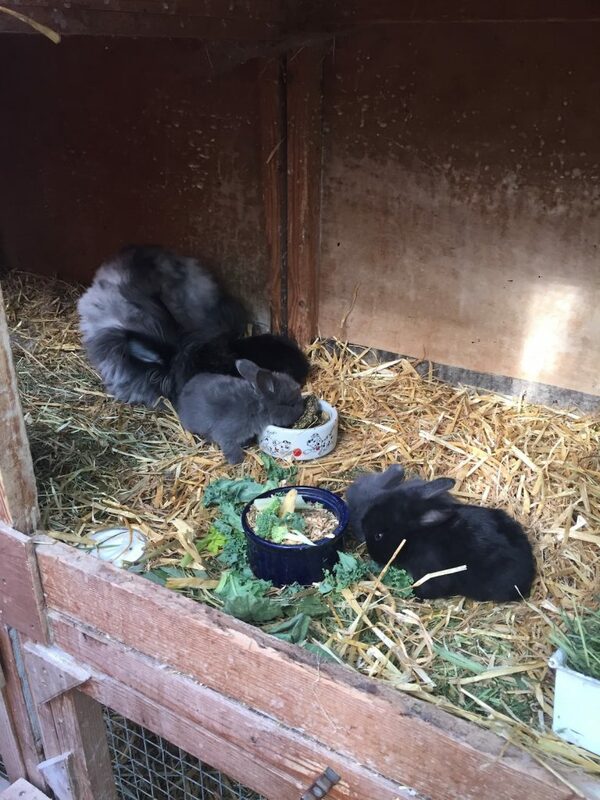 Unless the rabbit is being kept for showing then using straw is a suitable material for them to be kept on. If you line the hutch floor with newspaper underneath the straw this will soak up any wetness. Megazorb is a good base cover too. However, you do not need to keep them on wire but the coat is more likely to get soiled unless cleaning out it done very regularly. Cleaning out at least once a week is a must. Hook-on water cups are the best and a similar food bowl or heavy flat-bottomed glazed earthenware bowl is suitable for food. Use only utensils which have no rough edges to catch the coat. 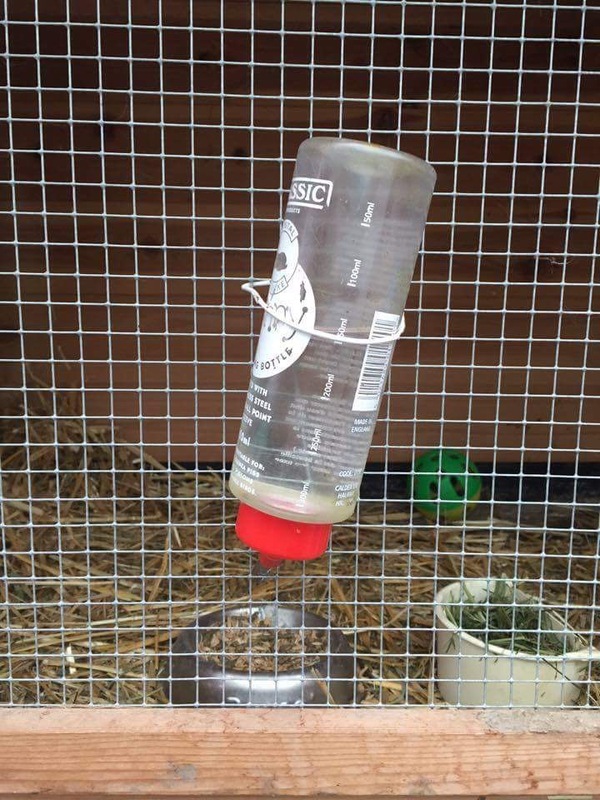 Otherwise water bottles hooked onto the wire frame of the cage work equally well and more can be added if necessary. Although the angora is as hardy as any other breed of rabbit, hutches are best placed under some form of shelter or lean-to and situated in a shaded position away from driving rain and direct sunlight. 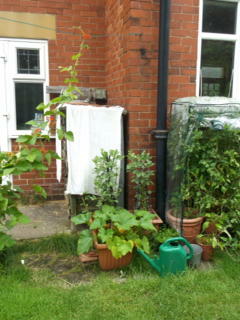 Obviously if you have a shed, it is better for all concerned. Although you may need a fan on very hot days in the summer to keep the air circulating. 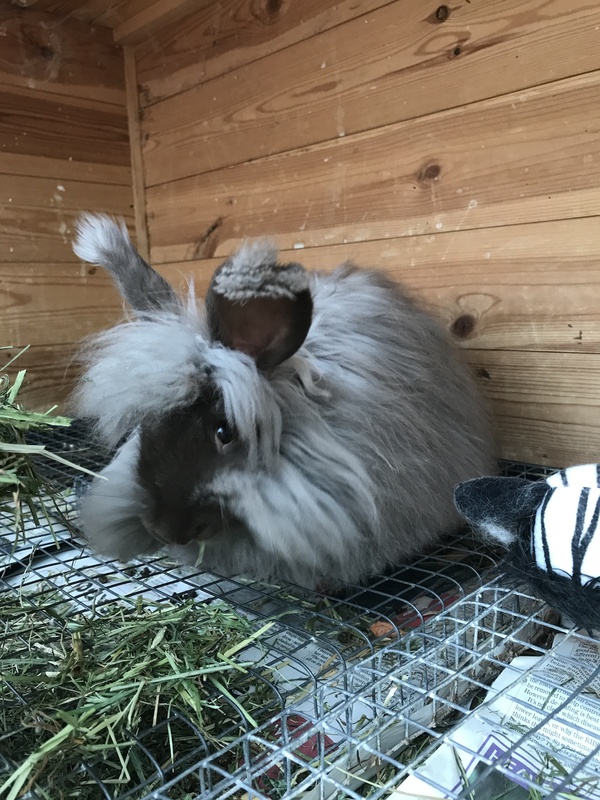 It is not necessary to have a shed if you are only keeping one or two rabbits, they can stay outside in a sheltered position and additional protection can be used when necessary in the form of blankets or towels or covers which are put down at night time and in bad weather. Posted 01/01/2018 by SM & filed under Angora Welfare.